Even mollusks have weddings, though solemn and leaden, but you dirge for the dead and take no jam on your bread, just a supper of salt and a waltz through your empty bed. That should explain it. This is just such an awesome song. Lyrics Born is depressing and poetic underground hip-hop love. I honestly like this song more than Gay Bar. It's more fun to dance to, at least. Life is quite mellow, yet very surreal right now. 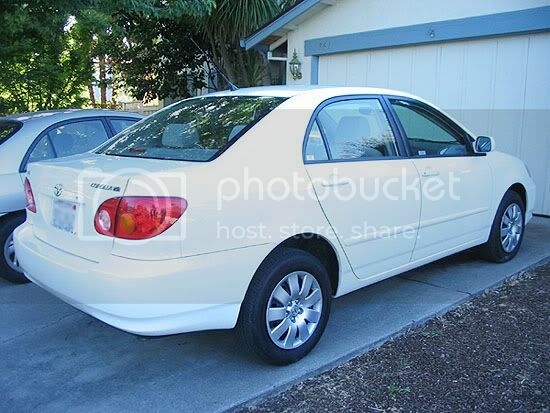 I got a car today. 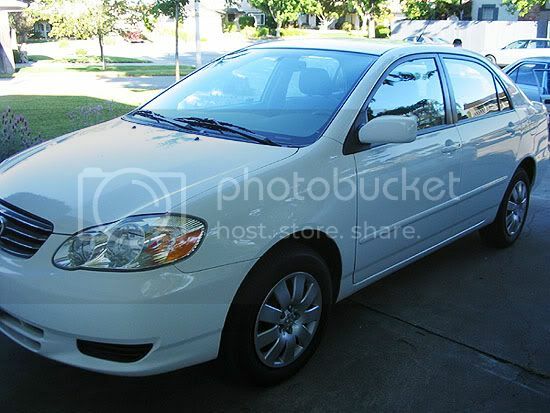 She's a white 2004 Toyota Corolla LE, and I love her. It's beautiful. It has a CD player, unfortunately, but that's not a big deal. Thanks, ma'am! Me an my ho's are gonna paint the town red.